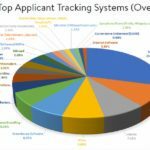 Which Applicant Tracking System Is The Best? I’ve said this a number of times, but it’s the question that never goes away. It’s the single most asked question I get in person, online, through email and messaging. There hasn’t been a week go by in the past two years where I’m not asked in some form this question!